Self-adhesive. 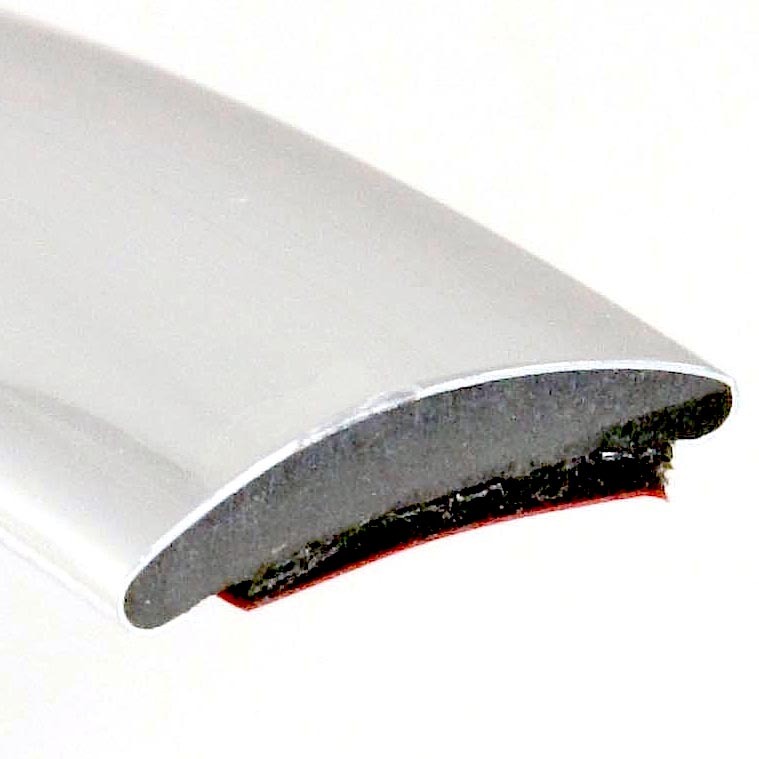 Flexible plastic chrome trim. Has wrap-around laminate that covers the sides.